A Unique Family, A Unique Home. The history of Althorp is the history of a family. Althorp House was built in 1508, by the Spencers, for the Spencers, and that is how it has remained for over 500 years. 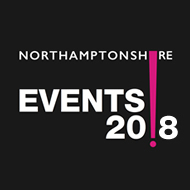 It is set in the tranquillity of its walled 550- acre parkland – which is part of the wider 13,000-acre estate – in the heart of beautiful, unspoilt, Northamptonshire countryside. Showcasing one of Europe’s finest private collections of furniture, paintings and ceramics, each intriguing room of this magnificent family home has a fascinating story of its own. Please note that The House and Park will not be open 6th July, 7th July, or 21st July.